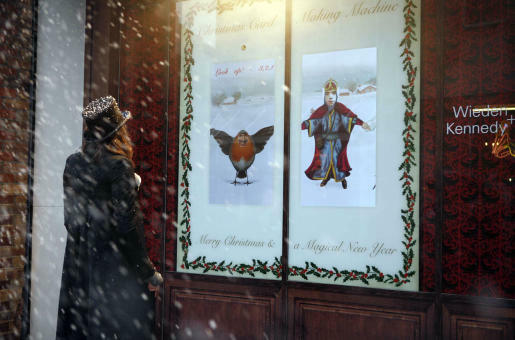 The Christmas Card Making Machine site features an online video (black and white), and the photographs of those who posed in front of the W+K window, trackable by date and time. 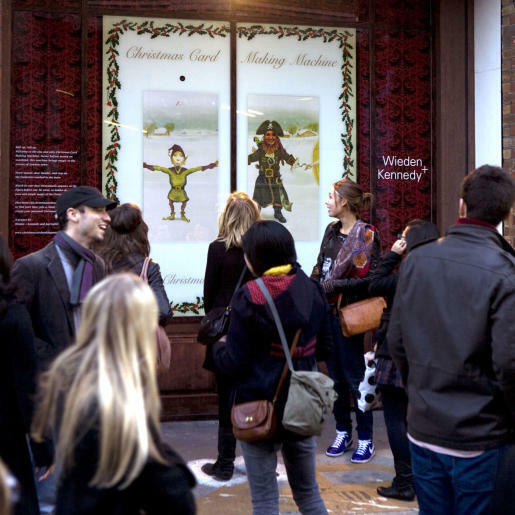 There’s no way you can join up, however, without turning up to the W+K London office in person. 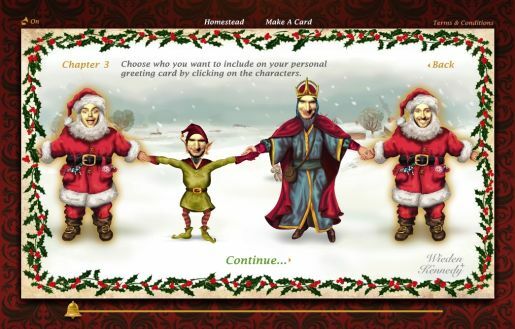 The Christmas Card Making Machine was developed at Wieden + Kennedy, London, by executive creative director Kim Papworth, creatives David Bruno and Tom Seymour, copywriter Sophie Lewis, interactive designer Joel Gethin Lewis, illustrator Johnny Lighthands, and web designer Eze Blaine.